Newsgroups: About newsgroups at HREF Tools Corp.
Newsgroups are in the news here! We are using newsgroups to provide technical support for these products: WebHub, Rubicon and IIS Backup. Embarcadero provides a very helpful overview here, Article #38435. This article explains, among other things, how to use XanaNews to connect to Delphi newsgroups and other public newsgroups hosted by Embarcadero. If you are using XanaNews, go into Account Properties > Server Settings and make sure that the checkbox for Always Authenticate is turned ON as shown in the screenshot here. 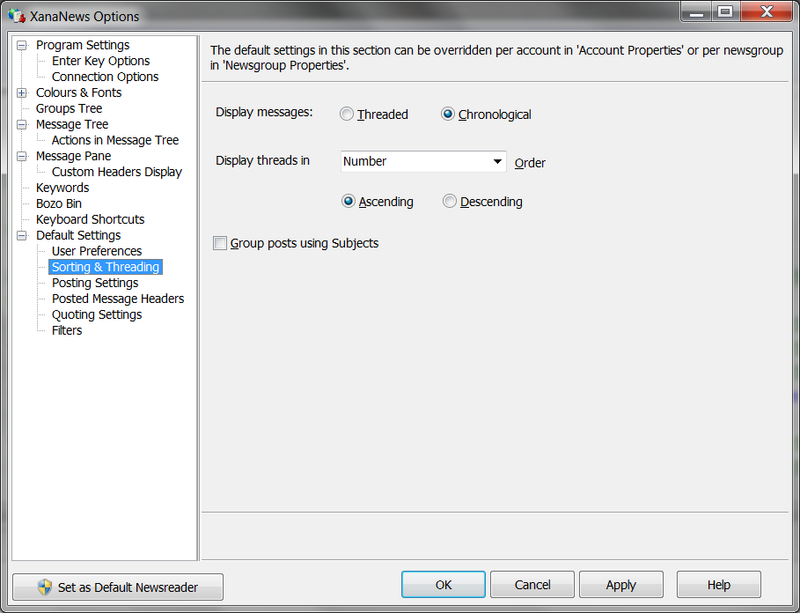 If you have trouble reading messages, go into Account Properties > Dialup & Connection and turn off XOVER and possibly turn off pipelining. The number of connections is probably not important, you can keep the default value. Exit and restart XanaNews between major changes to the connection settings because you can get different results, using the same settings, after a restart of XanaNews. If you have trouble downloading ALL our newsgroup messages with XanaNews, try downloading just headers and then, if you are interested in any particular message, click into it to download that particular message. That will be quicker for you, and is much more likely to work. Thanks to Peter Hyde for the XOVER, etc. advice. Sometimes it helps to see messages as threaded conversations. Sometimes it helps to see just the newly added ones. To toggle between these, go into Tools > Options > Default Settings > Sorting and Threading. There are many alternatives to XanaNews, including Mozilla Thunderbird, Microsoft Outlook. Wikipedia lists more than a dozen. Many thanks to Steffen Wendzel, the author of the open-source NNTP server behind news.href.com. We ran the win32 version for many years, and moved to CentOS7 in March 2015. If you are interested in running your own NNTP server, look for WendzelNNTPd-OSE on Source Forge.